You are probably aware that bunnies are not much-demanding creatures. However, when you decide to get a new tiny, furry friend for you or your children, you should provide an adequate home for its comfortable and happy life. Nowadays, you can find a bunch of models which offer fresh air and a lot of valuable exercises for your new pet. Let's discover the best rabbit hutch for outdoor. The first issue which arises when you decide to buy a rabbit hutch is which model to choose. Many people can't understand that they should purchase a safe and cozy home for their pet, not for them. The point is not to buy the most expensive unit to impress neighbors and friends. Also, you don't need a beautiful dollhouse for an exhibition, but a practical and functional home for your bunny. It is great if a new home for your pet fits nicely into your yard, but it really shouldn't be the primary criterion for making a decision. The best rabbit hutch is the unit which provides a lot of space for your furry friend to play, exercise, freely run, and to have a place where it can feel protected and safe. Too tiny unit without a proper ramp won't allow your pet to move freely, and any possible large openings on the wire net can be dangerous because cats, squirrels, or even rats can enter the hutch and jeopardize your bunny. Pay attention to the quality of material from which the selected model is made. If surfaces are too rough, your bunny can hurt its legs. Only high-quality wood or plastic combined with heavy-duty steel net is good enough for these gentle little creatures. Check the quality of color the manufacturer used to paint the hutch you want to buy. 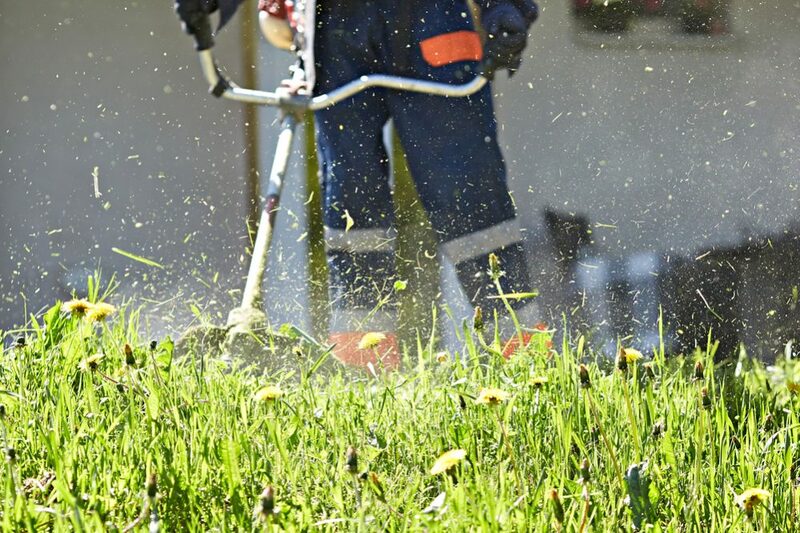 Harmful chemicals and fumes may cause allergies and other health issues of your rabbit. Also, keep in mind that wood shouldn't be damp or affected by termites and wires mustn't be loose. There are a lot of similarities between Pawhut 91″ Deluxe Large Wooden Hutch and a previous model of this manufacturer. However, this particular model is much larger and more comfortable for your pet with multiple ramps. They will allow your bunny to entry to the inner box very quickly. With this hutch, you will provide a lot of space for your rabbit, plus there is enough space to buy him a company. In other words, by purchasing this lovely unit, you can provide your bunny with a large playing area, and open up the opportunity for yourself to get another cute furry friend at the same time. This model has two separate floors for exercising and nesting. The rooftops are covered by a waterproof layer and adequately sloped. 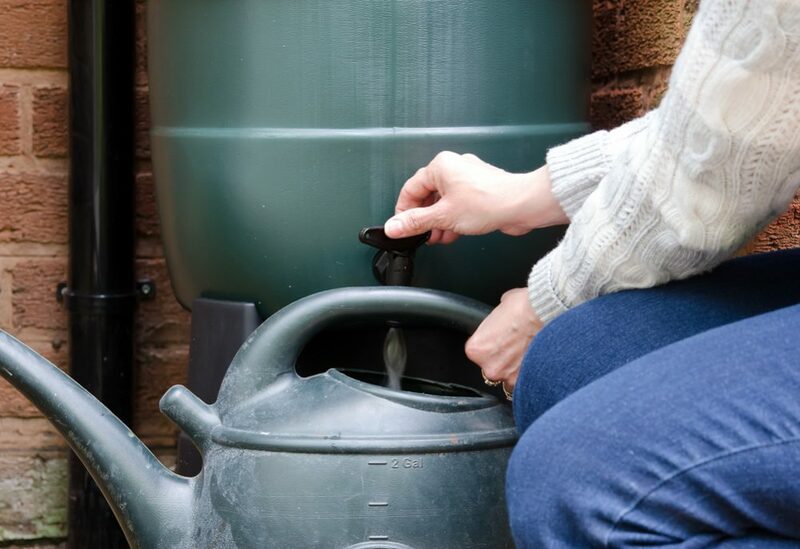 This will prevent water retention on the roof itself and allow it to trickle downwards. Plus, all metal parts of this lovely wooden unit are made of high-quality galvanized wire. Even though it is a huge hutch, you won’t need some extra time and effort to assemble it. All provided instructions are clear and understandable, and you can count on about one hour to put all the pieces together. For me, the most interesting part of this advanced design is a convenient slide-out tray. It is actually about the second-floor surface. The primary purpose of this part is to make the maintenance more comfortable and to provide you a possibility to clean up the hutch without entering it. Pretty cool solution, right? You can see at first glance that Petsfit Outdoor Rabbit Hutch is something special and entirely different from every other model available on the market. This eye-catchy, white and green designed unit has two purposes. It will be both a comfortable home and playground for your rabbit and one more decorative element which will make your garden more beautiful and gorgeous. This perfect, great looking condo is made of natural cedar and treated with safe, water-based paint. It is secure, comfortable, and provides an entrance big enough to allow your bunny freely run in and out. It is designed to provide two sections. A sheltered one will keep your bunny safe from bad weather. 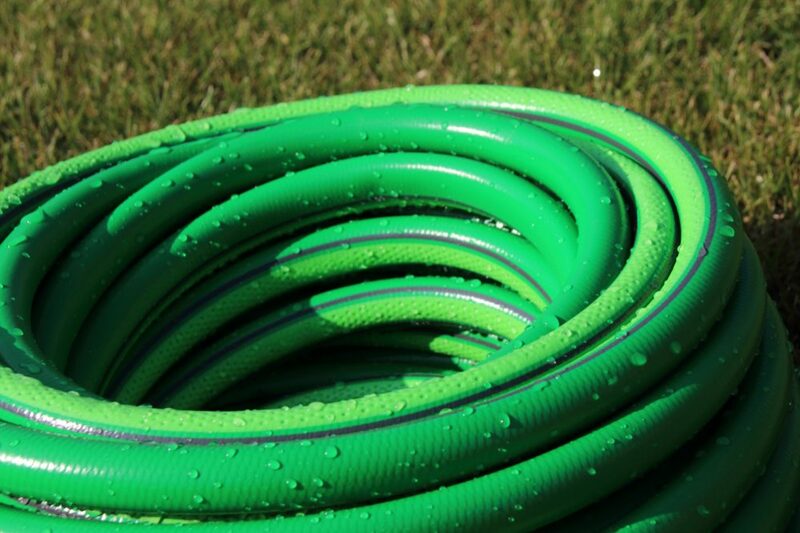 An open part will allow your pet to play protected from snakes and other wildlife. The high-quality asphalt roof will prevent water from entering the hutch, which will keep the whole inside clean and dry. The thing I like the most when it is about this particular product is that you can open the roof. 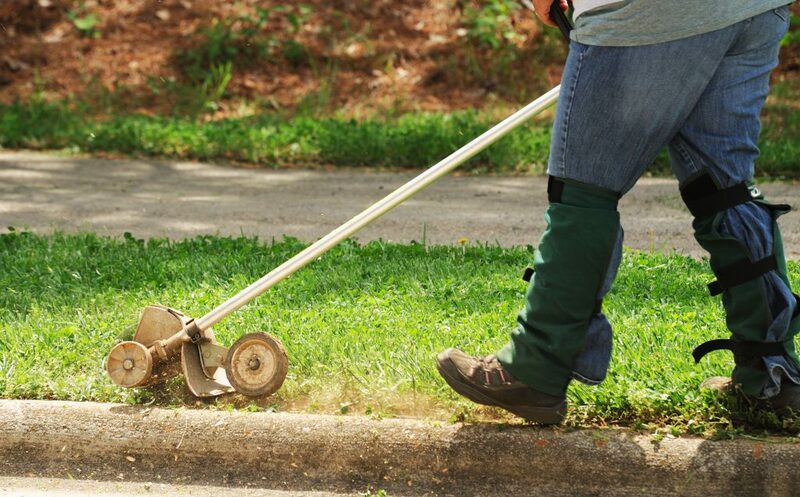 It will allow you to access the inside parts of the unit and make the cleaning more comfortable. Also, three lockable doors make this model highly secure for your rabbit. Metal bars will prevent any predators from entering the unit. At the same time, your pet won’t be able to escape from the run area. The big advantage of this model is that it comes flat packed. That means you won’t have any troubles to assemble it. As many pet owners have already expected of this reputable manufacturer and his products, Advantek the Stilt Rabbit Hutch is a large and comfortable unit. 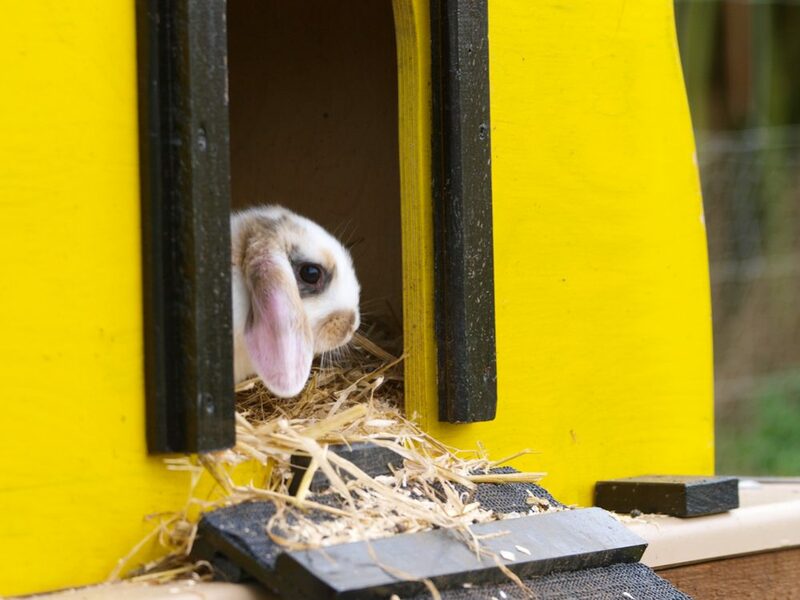 Basically, it contains a simple, but reliable nesting box with an outdoor enclosure which will make the life of one or two bunnies happier and safer than ever. Beautifully designed, this comfortable outdoor bunny hutch will be a desirable choice for your garden. In the same time, it will provide your pet with plenty of space for running and playing. This elegant red and white colored unit is built of cypress fir from a sustainable forest, which makes it resistant to rot and quick decay. Since insect can’t damage this wood, you won’t need to use dangerous insecticides for termites’ prevention. These features make this cute hutch durable and reliable for use. It provides two separate floors, including the safe nesting box above for resting and relaxing and ground floor space for exercising, playing, and foraging. Those two areas are connected with a wooden ramp. Your bunny has free access to both parts of the unit as it wishes. 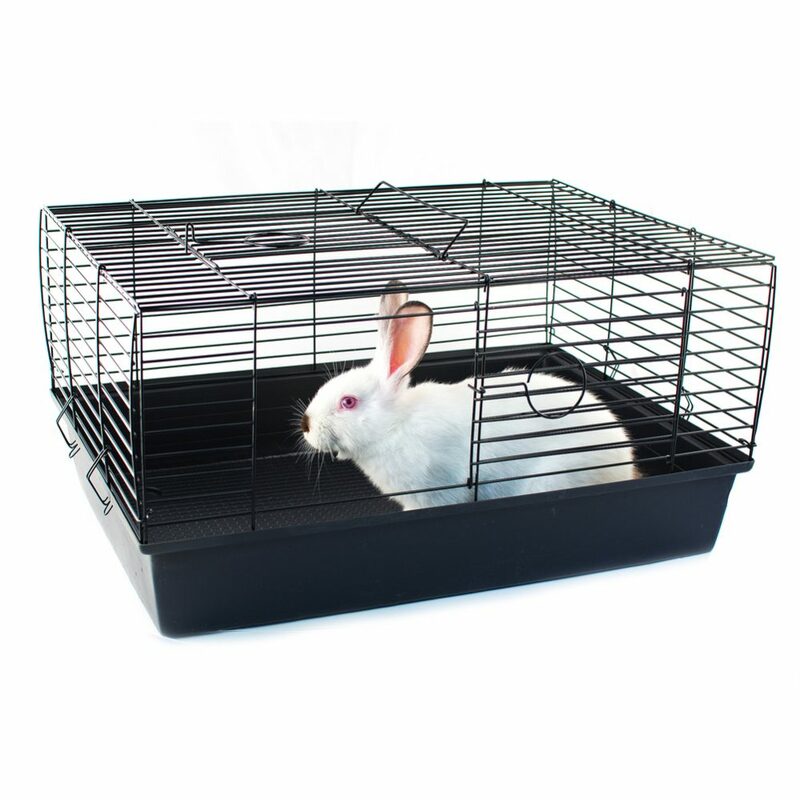 This model is surrounded by entirely rabbit-friendly wire, providing your bunny to roam happily and safely. At the same time, you can be relaxed knowing that your pet is satisfied. Moreover, included pullout tray is a practical part which allows you regular and comfortable cleaning. The doors to the outside are large enough to allow an unlimited approach. 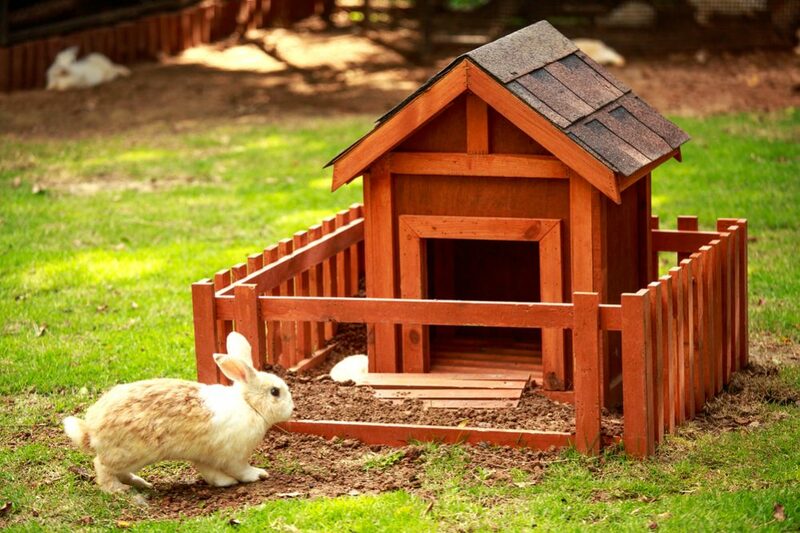 Excellently designed, Merax Rabbit Hutch Wood House has the aim to provide a comfortable and safe home for your bunny. This unit is made of high-quality natural wood, which makes it strong, durable, and stable for long-term use. Beautiful green asphalt roof will protect your pet and spacious space for running and entertaining will make it happy. Plus, there is a cozy living area and a sleeping box which offer a suitable living environment for your furry friend. All parts of this unit are well-connected, and the bunny has access to every corner of the hutch via the nice wooden ramp. You can quickly and effortlessly move the tray and clean all the pieces more relaxed than ever. I like the natural wood color of this model. The great thing is that used paint is entirely waterproof and that it won’t be damaged over time easily. It seems that you will get three advantages in one hutch. The heavy-duty wire will keep your pet safe, a lot of space will ensure that the rabbit can freely move, and the unit itself is eye-catching which makes it a lovely addition to your beautifully landscaped garden. When you decide to purchase a new outdoor home for your rabbit, you should consider Trixie Rabbit Hutch with Sloped Roof. Thanks to its well-crafted design which provides excellent air circulation, this hutch will stay frost protected and dry regardless of weather conditions. This model can be an ideal choice thanks to the sloped, removable roof which will prevent any accumulation of water and allow you easy entrance inside the unit. 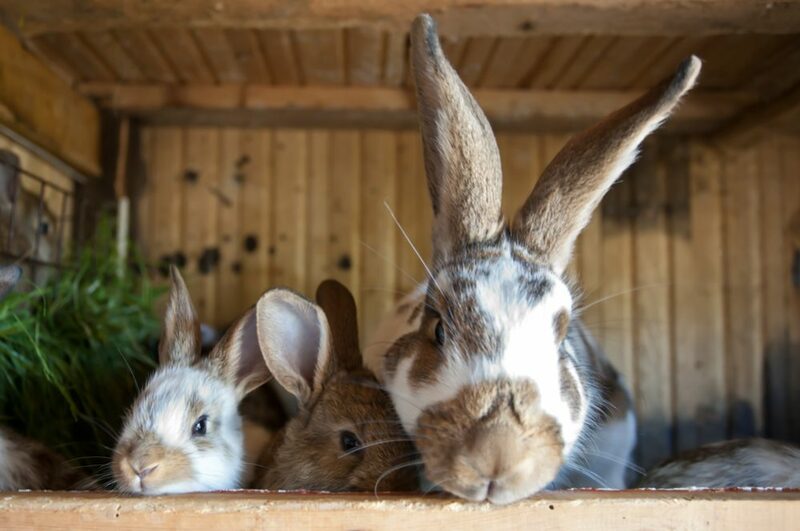 It is not hard to clean the whole hutch because the access to the interior is facilitated thanks to two front doors and a roof which you can open from the top. This two-story home for your rabbit is made of high-quality wood, and a stained pine finish makes it entirely weatherproof. Two separate floors provide enough space for your bunny to play, exercise, and have fun, but there is also a room for feeding and resting. There is also a non-slip ramp which your bunny can use to climb upstairs and go downstairs as it wishes. During cleaning, you can use the interior door to restrict your pet moving as needed. With its unique, user-friendly design, Tangkula 60-inch Large Wooden White Rabbit Outdoor Hutch with Black Linoleum Roof will provide a high-quality life for your little bunny. The great thing is that a well-designed sloping roof protects your rabbit no matter what the weather outside is. This two-floored model offers the ground floor for fun, exercise, and running. Also, there is a warm resting and nesting area on the upper level where your bunny can hide and find a desirable shelter as needed. The reliable wooden ramp connects the place for relaxing with the entertaining area. Good-quality construction is durable, with an extensive open area protected with the heavy-duty wire. 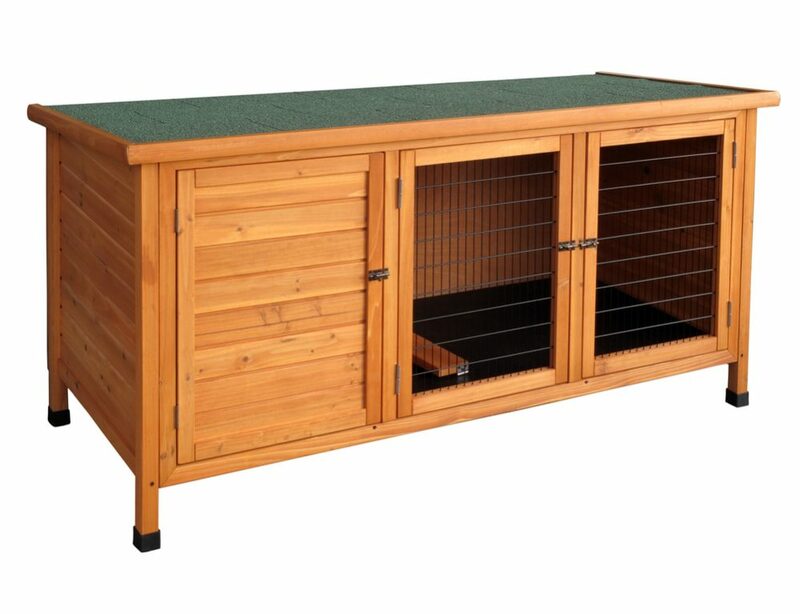 Without any doubt, this unit will provide a secure and comfy home for your rabbit. Plus, the fencing design offers full protection for your furry friend and allows adequate ventilation. I really like this cute, small window intended for direct watching the inside of the house. That means that you can check your pet at any moment, even though it takes a rest inside its sweet home. You won’t have any trouble to clean this hutch thanks to the slide-out bottom tray. Just pull it out and do the job quickly and effortlessly. Made of attractive, soft, and elegant wood, RH-25 Rabbit Hutch 2-Story is a perfect solution for both indoor and outdoor use. With two floors, this model is extra roomy and comfortable. The excellent news is that this hutch is spacey enough for two bunnies, which means that your beloved pet doesn’t need to spend a lonely and boring life. The sloped roof allows you to leave your pet inside the unit no matter what the weather outside is. Since roofing is shingled, it won’t hold water and rain will run off the roof very quickly. On the other hand, this hutch is decorative and eye-catchy which makes it an ideal model that fits any interior. 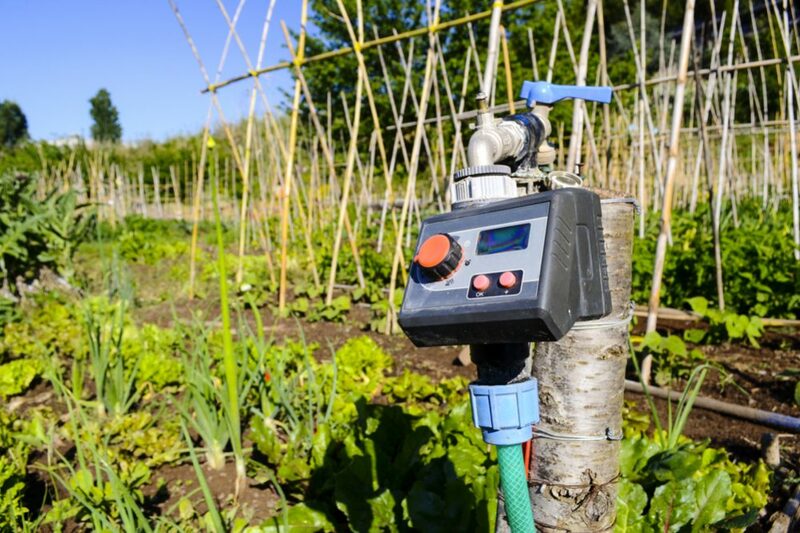 In other words, you can put this unit in your yard during the warm seasons, and move it inside your house while weather is bad, without compromising the compliance of your space. The wood used for making the structure is charming and good-looking. However, it is pretty soft which means that it is not durable and won’t last very long. Plus, you can expect your bunny chews it up quickly. It is possible that it ‘chews its way’ and escape from the hutch. This model features a pull-out tray which makes it very convenient and allows easy handling and cleaning. Even though this hutch is extra-roomy and looks complicated, assembling is effortless and doesn’t require more than an hour. 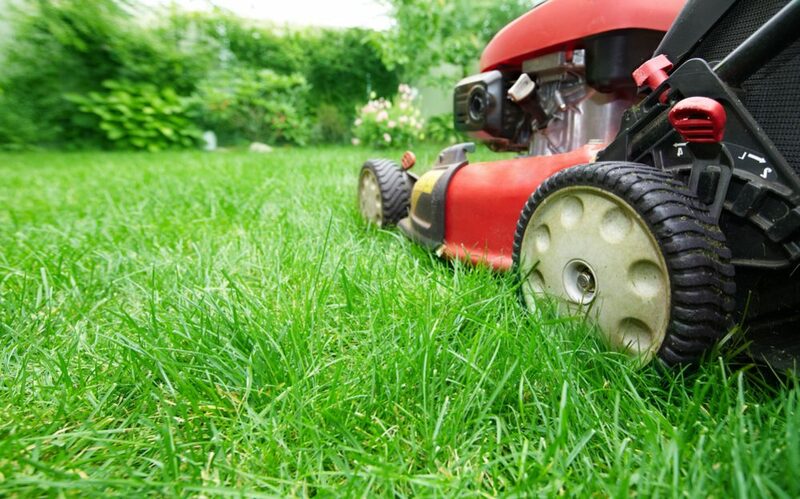 If you decide to keep your furry friend outside, you need to provide an adequate home for it. Always keep in mind that buying a hutch is not 'a piece of cake', but requires serious planning. You can't know if the particular hutch is the right choice for your bunny in advance, but you can consider some primary characteristics which are typical for high-quality units. That way, your pet will get a cozy and lovely place for living and be protected from bad weather and predators at the same time. Let me help you find the right thing. At the very beginning, you need to decide if you want to purchase an indoor or outdoor hutch for your furry friend. The fact is that bunnies prefer staying indoors where they feel safe and comfortable, become social with people, and bond with you. However, if you have a garden, it is a good idea for letting your rabbit outdoor a little bit. It will be beneficial for its health, and generally, the cutie will get more opportunities to play and have fun. The essential thing is to protect your tiny pet from predators. Also, you need a multi-level hutch which will offer a lot of opportunities for your bunny to climb, run, and have a nap. Therefore, pick out wisely. That is one of those situations when the size is important. The bigger the house, your rabbit will have more space and therefore will be happier. Always keep in mind that too small hutch will make problems to your bunny. If its home is not big enough, such a place will make your pet lonely and inactive. Consequently, it will develop bad habits and it can even feel chronic arthritis pain. If you spot that your pet often sways its head or chews its fur, it is about time to think about a bigger rabbit hutch. Roughly speaking, your bunny needs one ft2 (930 cm2) of hutch space per one pound (0.45 kg) of its body weight. The average weight of your rabbit is approximately 6 pounds (almost 3 kg). You can quickly calculate that it needs about six ft2 (0.55 m2) of hutch space. Also, the high of your new unit should be so adapted to enable your furry friend to stand on its hind legs. Experts recommend a hutch four times the size of your rabbit, but in general, you can't buy a too big one. On the other hand, a larger unit will cost more money. What can I say? If you can afford a more quality model, buy it and make your pet happy. One more thing! If you bring home a baby bunny, you should inquire about the full size of that particular rabbit breeds before shopping a hutch. Most contemporary hutches are made of sturdy wood or high-quality plastic in combination with metal (usually heavy-duty steel). Which material you will choose directly depends on the size of the unit, its price, and the level of its exposure to weather conditions. Keep in mind that more parts made of wood will increase the price, but it can also depend on the type of wood. Outdoor hutches are usually bigger than indoor ones, and therefore they are more expensive. While you are picking out the right home for your rabbit, you will obviously think about its comfort. However, don't forget about cleaning, as an essential item. The best design provides comfortable access with a few doors for a bunny and openings for you when it comes to cleaning. 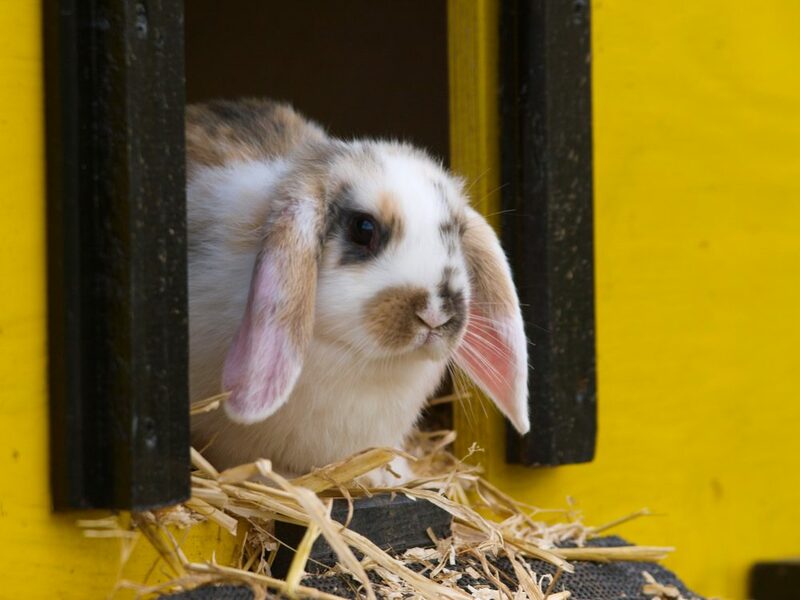 Nowadays, you can find units which feature sloped and easy-opened roofs, which means that they can keep bunny's home dry and protected and allow you to clean the unit effortlessly. Avoid models with wire floors and a removable pan no matter how convenient for cleaning they are. Your sensitive pet can hurt its hocks and catch some infection if it moves on this type of the floor for a long time. At least half of the surface should be covered with a solid material such as cardboard or wood. It is the essential feature for an outdoor hutch and directly depends on its quality. You really want a unit which can withstand weather conditions in your region, including bright sun, heavy rainfall, and high-speed winds. 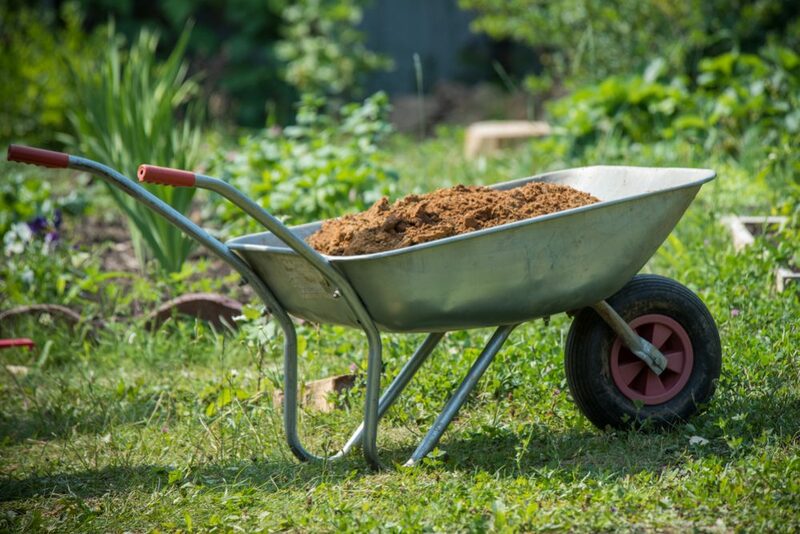 In my opinion, you can't go wrong with the best sturdy, coated wood as well as rust-free, heavy-duty steel. Accessibility - It is necessary to have complete access to your bunny at any time. Always think in advance and predict the fastest way to get to your pet in case of an emergency. Adequate doors, slide-out trays, and easy-opened roof are pretty helpful in such situations. Predator-proof unit - Since you may not always be nearby, your bunny's home needs to withstand every possible predator’s attack. If it is possible, keep a unit off ground level. The hutch with raised legs or the model with two separate floors can be an excellent solution. Alternatively, you can surround this little house with a wire fence or heavy duty mesh. With a secured door, your pet will be protected and safe. Little things which provide comfort - Your bunny will love to have at least one place to hide. It will need a secure spot to feel as safe as required. Also, it would be nice to provide a drip-feed water bottle. That way, your pet will have fresh water at any time. In the end, but no less important, I have to mention some chew toys to prevent the overgrowth of your bunny’s teeth. Accessories - If you prefer that way, you can buy a model with a solid floor, toys for playing and running, a food bowl, and so on. 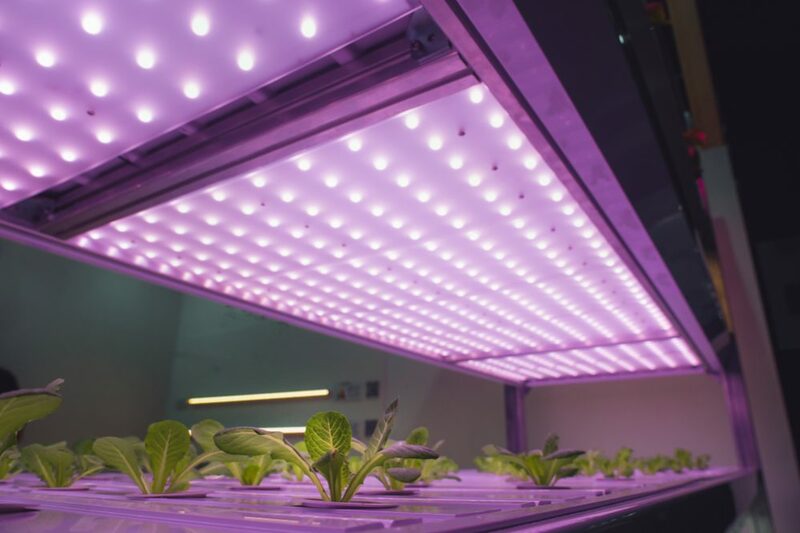 This type of hutches is usually the most expensive. On the other hand, if you buy a fully equipped unit, you won't have additional costs. Anyway, there is no need to overdo it. Your bunny will appreciate love, proper care, a cozy home, and a lot of space. That's it. In my opinion, the best rabbit hutch is definitely Pawhut 91″ Deluxe Large Wooden Hutch. Without any doubt, this model is the most beautiful, the most comfortable and more extensive than any other hutch available on the market at the moment. It features two separate floors, multiple ramps for quick entry to the inner box, and a lot of space for your bunny for playing, exercising, and relaxed nesting. Moreover, if you decide to buy another rabbit, you won't need to change your hutch. This unit is large enough for your pet and its new friend as well. Since assembling is uncomplicated, your dear bunny will enjoy its new home only one hour after the package arrives.